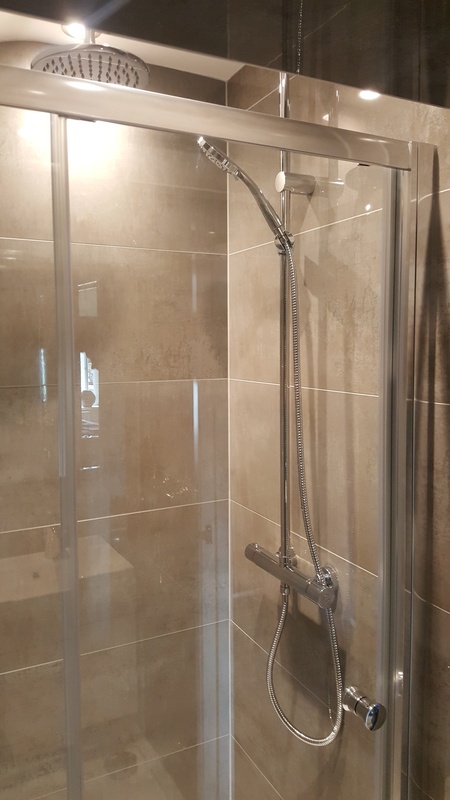 A family-run business for over 20 years, our team will carry out the work with the greatest of professionalism and attention to detail. 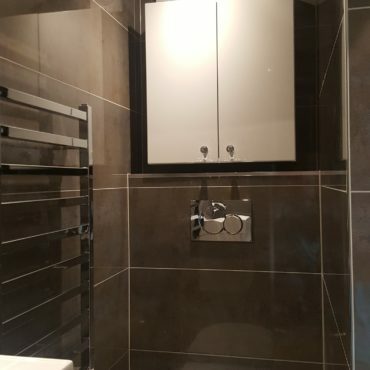 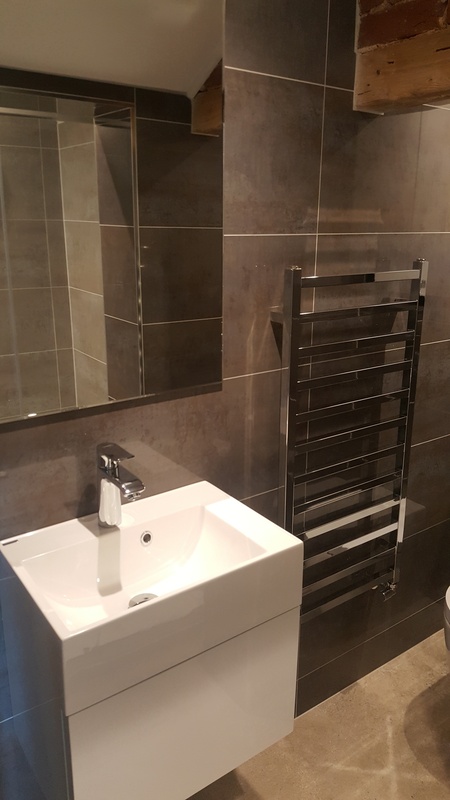 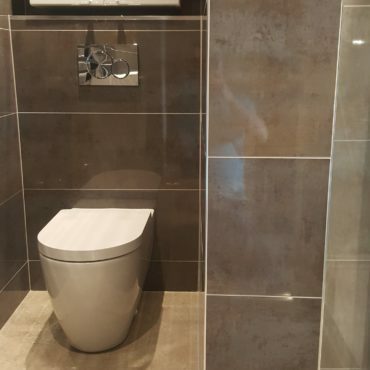 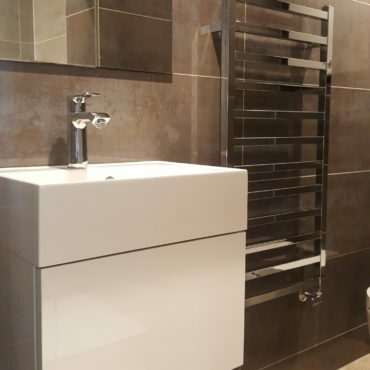 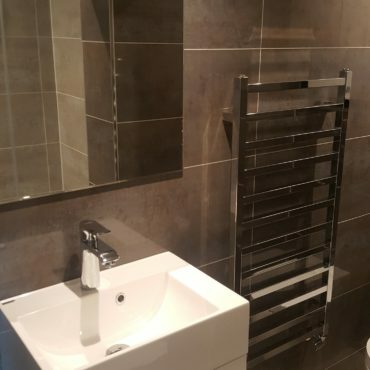 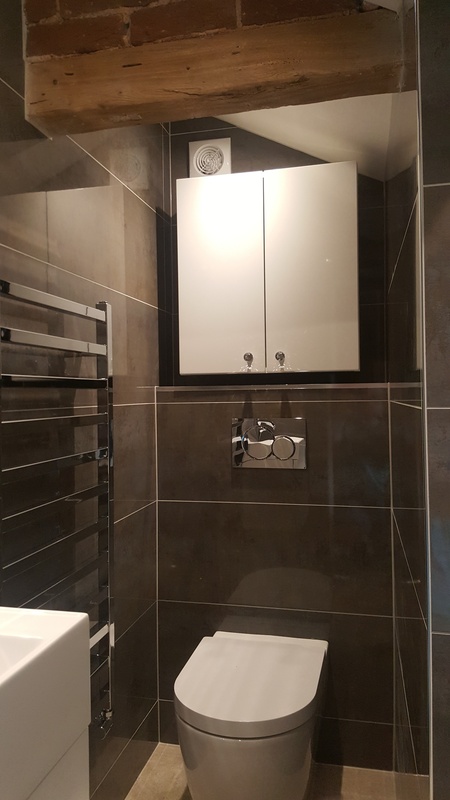 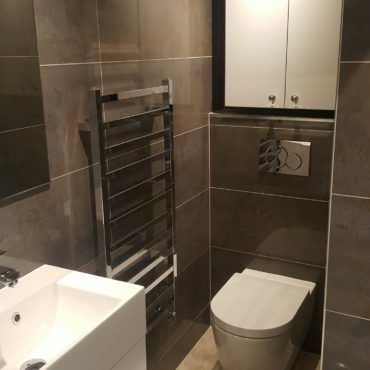 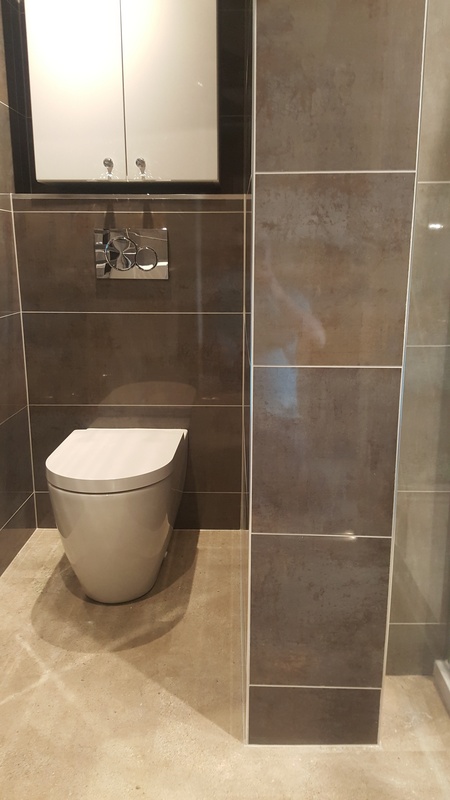 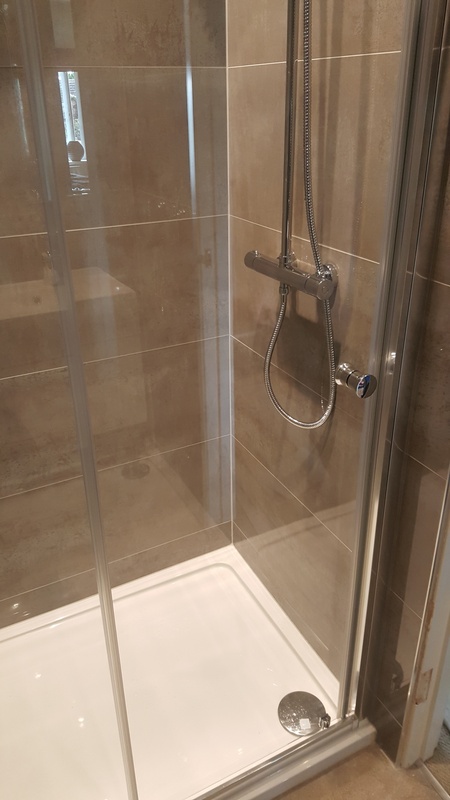 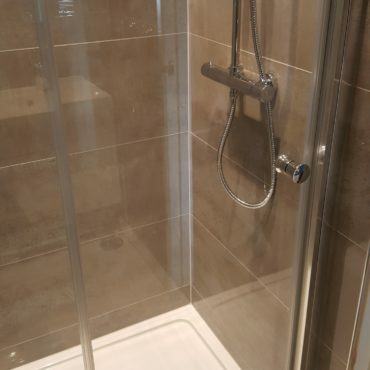 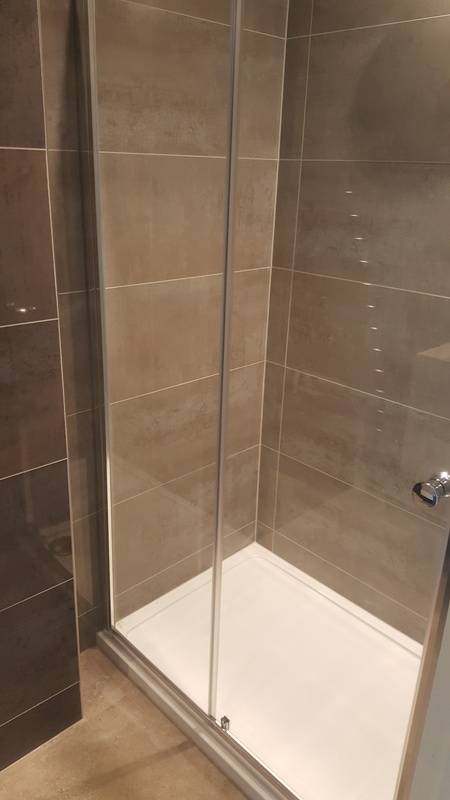 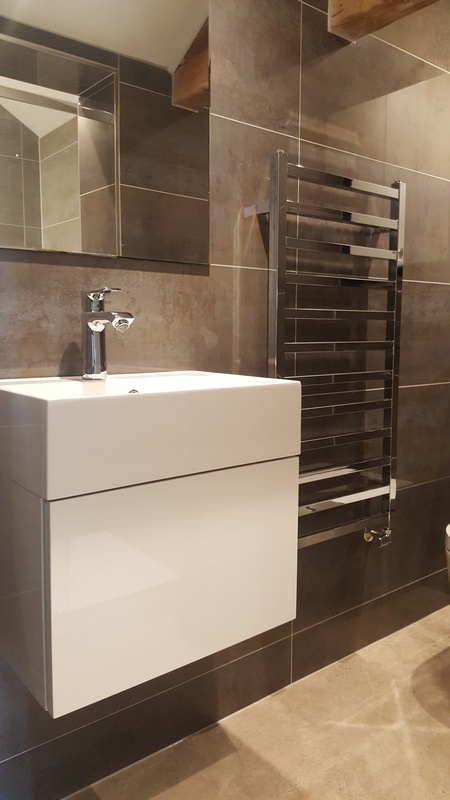 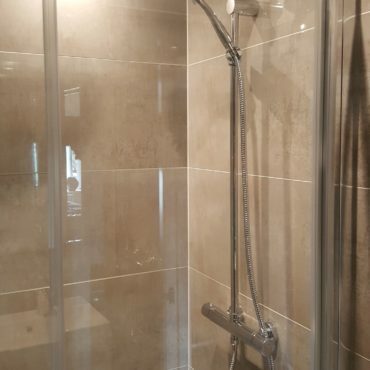 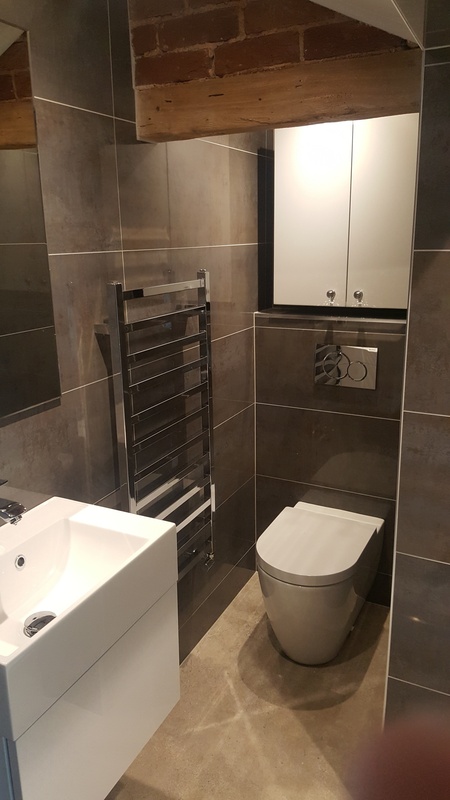 Master en-suite in Eaton Bray, we made good use of this tight space and mirrored the shower room (portfolio 5) by using the Shine range of tiles. 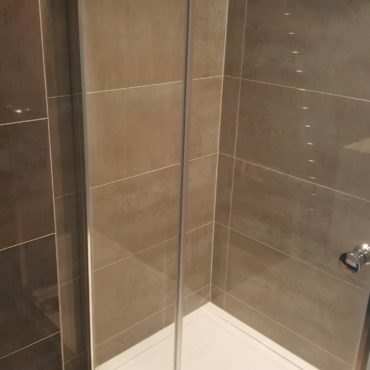 Again the shower enclosure wall houses the Aluminio tile as a feature.